Today I’m loving …. 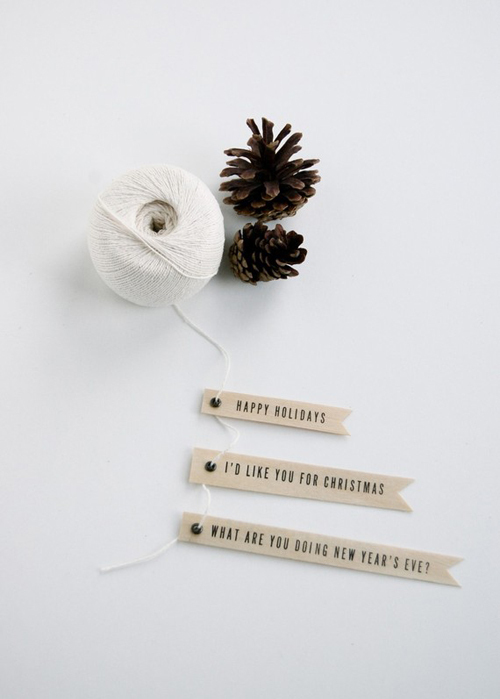 these letterpress holiday gift flags from Etsy shop In Haus press. oh. i am loving EVERYTHIng tHAT YOU have posted this week. especially that last blackboard wall. although the moschino hotel….think i would rather eat pastries, than sleep on them. i mean, prefer them in me than under me? So cute-I am starting to get that holiday spirit again thanks to non-tacky christmas goodies like these!